Pacer Siraj grabbed 4 for 42 in 15 overs, whereas, India regular KL Rahul was castled by medium pacer Ravi Kiran for 4 runs. Mohammed Siraj celebrated his India call-up with a four-wicket haul as Hyderabad dismissed Karnataka for 183 on the first day of a Ranji Trophy group A encounter. At stumps, Hyderabad were 51 for 3 with Kolla Sumanth unbeaten on 34. Siraj grabbed 4 for 42 in 15 overs as India regular KL Rahul was castled by medium pacer Ravi Kiran for 4 runs. He looked rusty during his 27-ball stay at the crease. 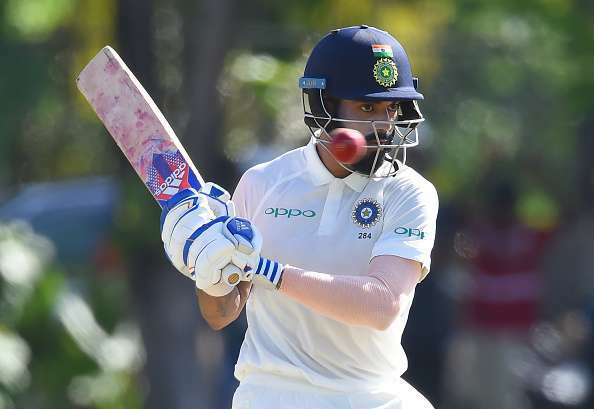 Hosts Karnataka after a good batting show in the previous game faltered badly with only Stuart Binny's 61 off 88 balls adding some semblance of respectability to the total. Karnataka were reduced to 89 for 6 at one stage but added 56 runs with Krishnappa Gowtham (13) as they managed to get close to 150-run mark. Siraj hit the deck hard and got the deliveries to jag back into right-handers after pitching. He removed his India A teammate Ravikumar Samarth (19) and also breached through the defences of IPL specialist Mayank Agarwal (0), whose questionable technique was again exposed thoroughly. Siraj also removed the dangerous looking Binny in his second spell along with Gowtham. At Lucknow: Maharashtra 274/4 (Ankit Bawne 107 batting, Saurabh Kumar 3/100) vs Uttar Pradesh.